Johnson & Johnson Acuvue Lenses - At the Best Prices! - Weblens - Your Contactlenses Online ! Need for lenses that wear comfortably? Then Johnson & Johnson lenses are the perfect lenses for you! Johnson & Johnson offers the perfect wearing comfort because of its years of experience, because your eyes deserve the best. Johnson & Johnson is an American company active in the pharmaceutical industry that was founded in 1886. Johnson & Johnson has more than 200 subsidiaries including Janssen Pharmaceutica. 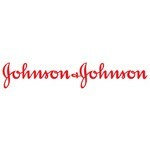 Pharmacy, medical products and consumer products are the three Johnson & Johnson divisions. Consumer products also contain the Acuvue Johnson & Johnson contact lenses. Acuvue was sold to Johnson & Johnson under Frontier Contact Lenses in 1981. Besides Acuvue there are also Surevue Johnson & Johnson lenses available. Johnson & Johnson lenses stand for comfort due to their unique softness. Johnson & Johnson has both daily and weekly lenses in their assortment. The Johnson & Johnson weeklies can carry you either 7 days and 6 nights continuously or wear 2 weeks only during the day. If you only wear them during the day, you should store the lenses in eyeglass overnight. The daily disposable lenses of Johnson & Johnson should be discarded every night. This way you can enjoy a fresh pair of Johnson & Johnson lenses the next day. Johnson & Johnson also offers a sharp vision for people suffering from a condition. For example, there are both Johnson & Johnson contact lenses for astigmatism and for presbyopia. Take a quick look at our range of Johnson & Johnson lenses and enjoy the unique comfort!